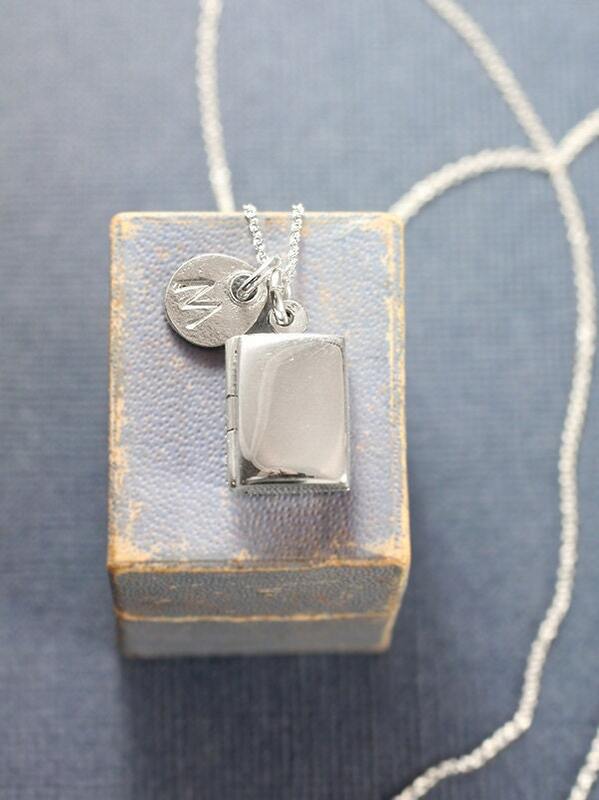 A minimalist's locket is fashioned as a tiny book and paired with an artisan circle charm of silver waiting to be stamped with the initial or design of your choice. 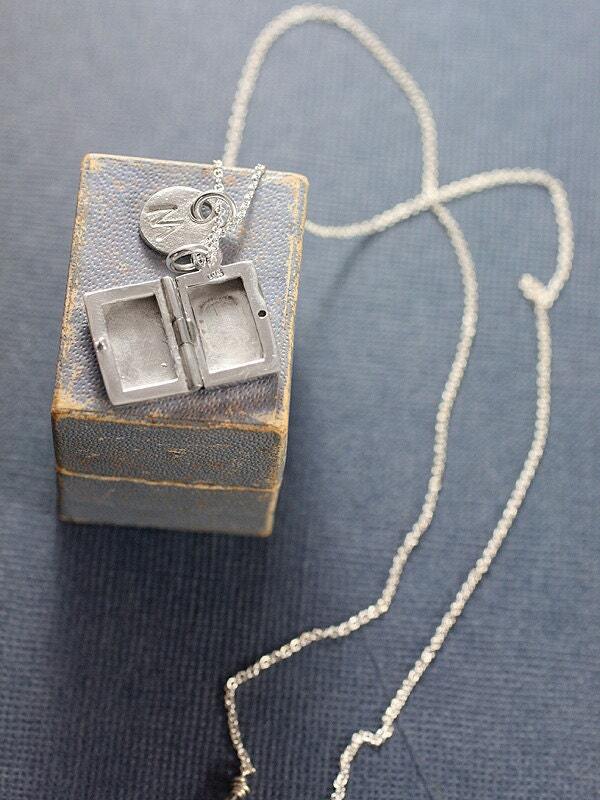 The new sterling silver locket of this personalized design opens to reveal two "frames" waiting to have beloved photographs slipped inside. 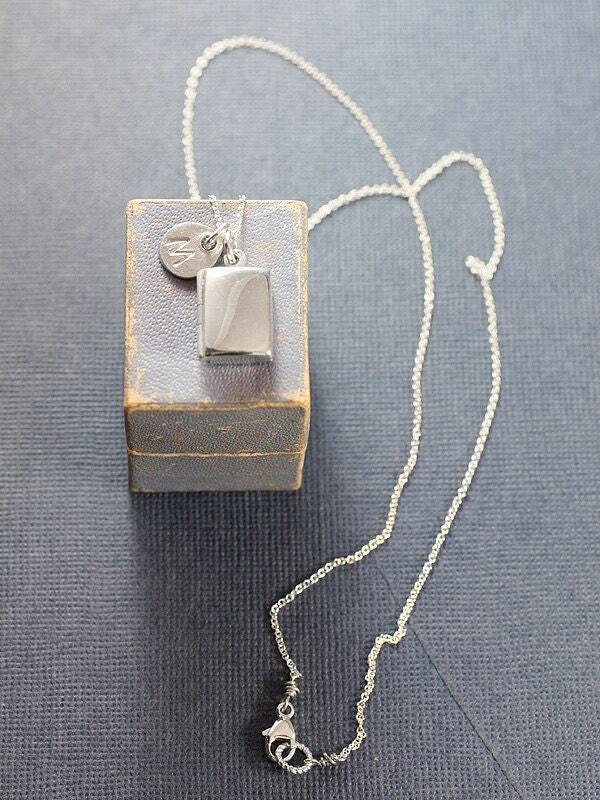 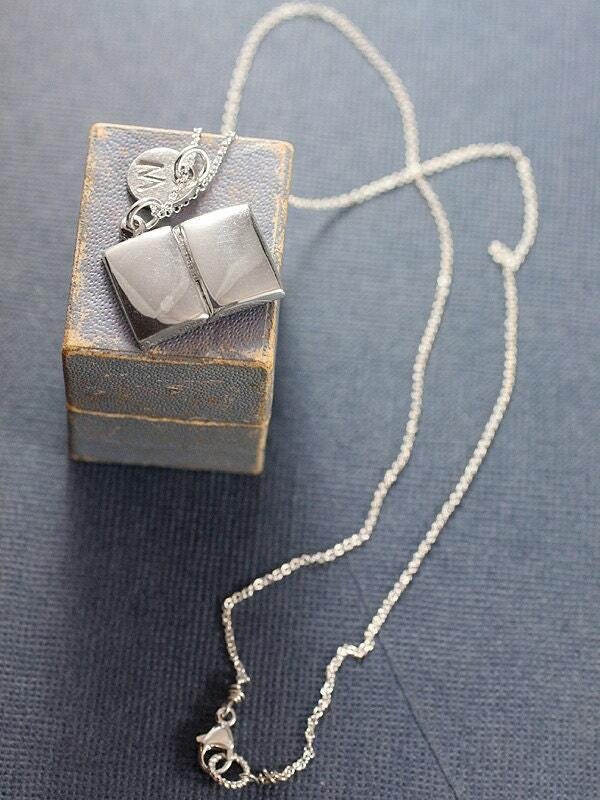 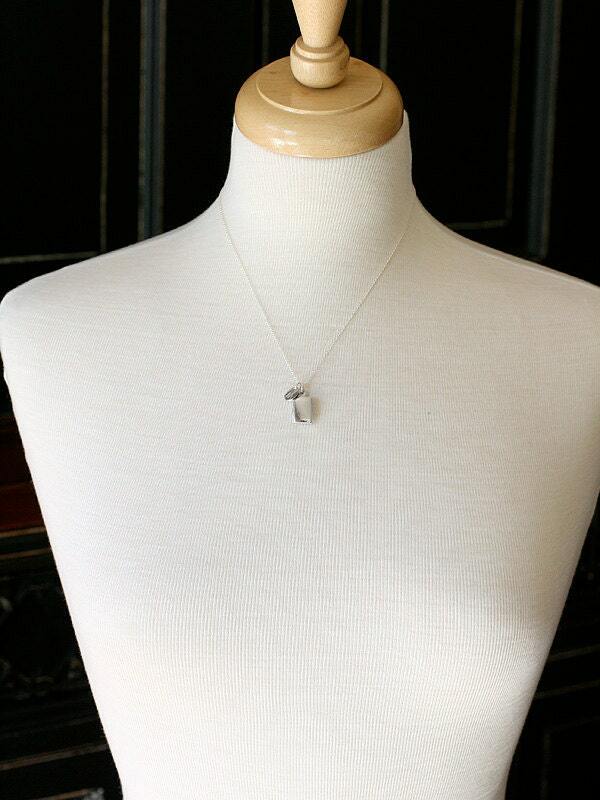 The pendants are set on a sterling silver chain finished with a trigger clasp of the same.